The knuckle boom crane, or articulating crane, is a type of boom crane which is very similar to the traditional straight boom crane, with only one difference: it comes with two booms, a main and an outer boom. Both booms have a knuckle between them to provide operators more options. This hydraulic crane has changed the way operators lift and move different kinds of materials. The unique advantage of the knuckle boom cranes is their ability to fold the boom as a knuckle. Furthermore, they are capable to fully folded. For high reach, the knuckle boom cranes are capable to extend the boom to reach incredible heights. This unique ability is something that cannot be found in any traditional boom crane. These boom cranes were widely used in Europe, but what can be seen nowadays is that more and more Australian construction companies include knuckle boom cranes in their fleet of construction machines. Today, they are an essential part in the construction, mining, marine, transport and other industries in Australia. For lifting and moving heavy loads in tight spaces, the knuckle boom cranes are incomparable. Compact and easy to operate in tight spaces, the knuckle boom cranes are highly efficient for handling loads of up to 55 tonnes. Depending on the application and environment, the knuckle boom cranes are used differently. For example, at a construction job site, a typical knuckle boom crane is mounted on a truck; for a marine use, it is mounted on a boat. Or in some cases, the knuckle boom cranes can be also mounted on a rail car or on a doc. Narrow and tight job sites are definitely the most suitable applications for these cranes. No travel limits. 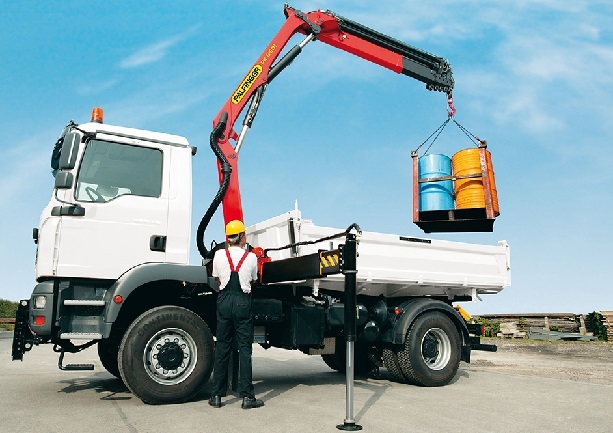 When mounted on a truck, the knuckle boom cranes can be used for all applications where the truck can access or move. Great capacity. Having in mind how many applications can be carried out with the knuckle boom cranes, these lightweight units are capable of handling more weight than any other boom crane. Install Configuration Options. Whether on a dock, boat, rail car or most commonly on a truck, the knuckle boom cranes offer a complete versatility to meet the needs of any contractor. Also, they can be mounted either in the front or at the back, for increased flexibility.